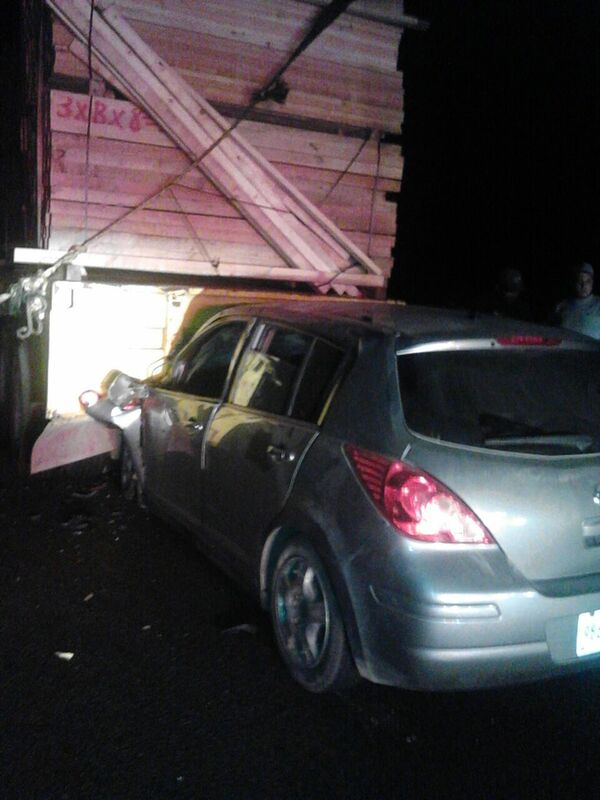 A vehicle accident was smashed against a truck that was transporting wood! Minutes before 7:30 p.m. was noticed to the emergency corporations about the accident, which it was found two people injured in the vehicle to which the air bags activated him.In spite of the strong impact, two young injured men were conscious and they said their name were 23-Andrés Alejandro García, 23 years old and the driver was Martín Villegas Ceseña, 25 years old. Both residents of the neighborhood ” El Zacatal” in San Jose del Cabo. They were moved to the general hospital in Cabo San Lucas for its medical evaluation. Apparently the shock owed not to keep the suitable distance. One recounts that the injured men also had alcoholic breath.